Every once in a while, every blogger goes through what I like to call "Bloggers Block". You just run out of inspiration to blog and feel frustrated that you're leaving your readers hanging. What's a blogger to do?! For me, this adorable mug from A Cup of Quotes really seemed to do the trick. Ann from Step Inside My Closet is the savvy businesswoman behind the mug business and I'm sure knows a thing or two about bloggers block. 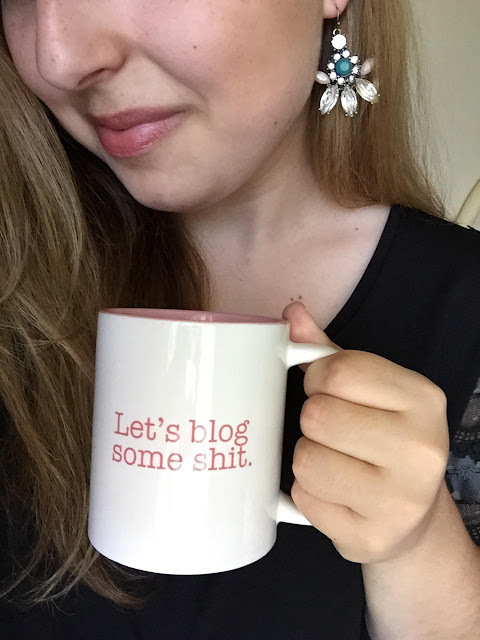 That's why I think it was perfect that she created this mug specifically with bloggers in mind to get them motivated and inspired again! Seriously why aren't there more stuff out there with catchy phrases for bloggers?! It comes in pink and white (my favorite colors) along with a wide handle so people with fat fingers like me can hold it without getting their fingers bruised. It's also incredibly lightweight and has the little A Cup of Quotes logo on the back! 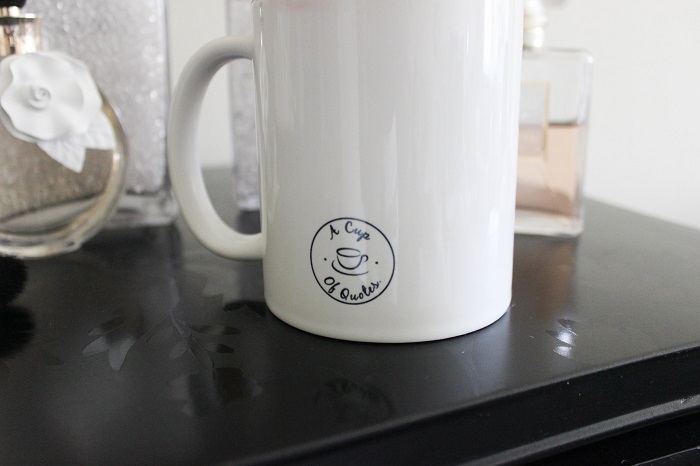 Just in case you're looking for more mugs with adorable quotes on them check out the other mugs that Ann sells on Etsy! Some of my favorites are Nutella & Netflix, The Only BS I Need is Bag & Shoes, and the Always Wear Your Invisible Crown mugs. Ann was also kind enough to provide my readers with free shipping so make sure to use the code 'BLOGANDCOFFEE' if you order anything! That mug is so so adorable I might purchase it! I love this mug! I think I just might buy it, too! Adorable post! 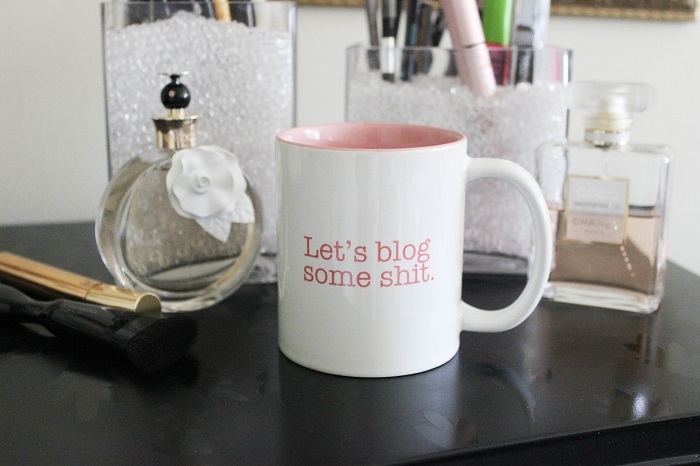 No more "Bloggers Block" with this mug! Thanks for featuring A Cup Of Quotes! AHH you're so right - I completely need that mug in my life. It's adorable!